Whether you live in Ball Ground or anywhere else, hiring a house cleaning service like Image Maids is a smart, money-saving decision. If you are unable to keep up with household cleaning tasks and maintenance, you run the risk of having to repair or replace furniture, floors, baseboards, tile, and appliances much more frequently. When you hire a maid service or house cleaning service to clean your home on a routine basis, it prevents additional household wear and tear. Your home is your sanctuary, so hire a maid service to help keep it beautiful and clean. Some homeowners may feel that a cleaning service is a luxury, but when you consider the number of hours it takes to thoroughly clean a house or condo, you will realize that all of those hours could be more productively spent on other activities. Think about how much an hour of your time is actually worth. In addition to the money-saving benefits, no one wants to be reminded by a spouse or family member about all of the household chores that need to be done, so hiring a house cleaning service can even help create happier relationships. Wouldn’t it be great not to have to stress about cleaning the tile in the bathrooms? Or scrubbing the soap build-up off of the glass shower doors? Let’s face it, there are some cleaning projects that you may not mind all that much, but there are others you would be fine with never having to do again. Image Maids offers a variety of house cleaning services that can be customized to fit your lifestyle and needs. Need us to come out to your home once a week to clean the core areas of your home? No problem. Need us to come out to your home once a month to do a deep clean? No problem. All you have to do is fill out our online estimate form, answer a few questions, and we will get you started on a cleaning schedule right away. Our professional staff will go through each room of your home to make sure it sparkles and shines according to Image Maid’s high standards. Bathroom cleaning. Remove cobwebs and dust, wipe clean countertops, basins, faucets, mirrors, tub and all other bathroom areas. Clean the tile, the inside and outside of the shower doors, sanitize the toilet, and vacuum and mop the floor. Bedroom cleaning. Dust every surface, including window sills and baseboards. Clean hanging picture frames, mirrors, furniture, and any items on the furniture. Change the bed linens and vacuum. Dining room cleaning. Dust the light fixtures, clean and wipe baseboards. Wipe clean the dining room table, chairs, and other furniture. Vacuum the floor. Living room cleaning. Dust and clean light fixtures and furniture. Dust and clean baseboards. Vacuum furniture, if needed, including under the cushions. Vacuum the floor. Laundry room area cleaning. Wipe clean all surfaces, including the washer and dryer, vacuum or mop floor. Kitchen cleaning. Wipe clean all countertops and small appliances. Clean the inside and outside of the microwave. Clean the stovetop, exterior of all appliances, kitchen cabinets, kitchen table and chairs. Vacuum and mop. Additional rooms and services can be incorporated upon request. If you any special requests or need us to make any unique considerations as we clean your house, just let us know. Client satisfaction is our number one goal. We want you to tell your friends and family members all about us. Did you know Ball Ground serves as the setting for a Tom Cruise movie? It’s true, Tom Cruise recently filmed the biographical criminal drama-thriller Mena in the historic district of Ball Ground. During the months of filming, the movie production crew changed out all the building fronts to look just like the buildings in Mena, Arkansas. Gibbs Gardens is one of the nation’s largest residential gardens, covering 292 acres. There are 16 different gardens, 3 feature gardens, a natural stream, waterfalls, ponds, and bridges. 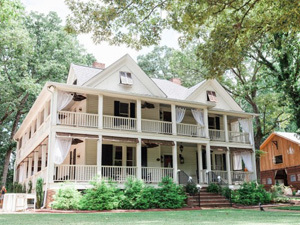 The home itself, owned by Jim Gibbs, is on one of the highest crests in Cherokee County. 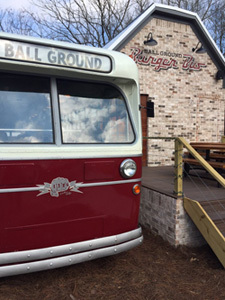 Ball Ground is home to a unique restaurant called The Burger Bus that is housed inside of a restored 1940’s Atlanta Transit Authority trolley car. Know someone in Cherokee County that is planning a wedding? The Wheeler House in Ball Ground is a historic home and barn wedding venue that was built in 1906 by the owner of The Wheeler Lumber Yard. Now that you realize how much time and money can be saved by hiring Image Maids, why would you wait? Fill out our online estimate form to see how much cleaner and happier your life can be. No more scrubbing, mopping, or stressing. Start sparkling with Image Maids today!